The spending in fiscal year 2014 will be financed by $5.6 million from the proceeds of bonds already sold by the two counties and by $22.6 million in state loans. 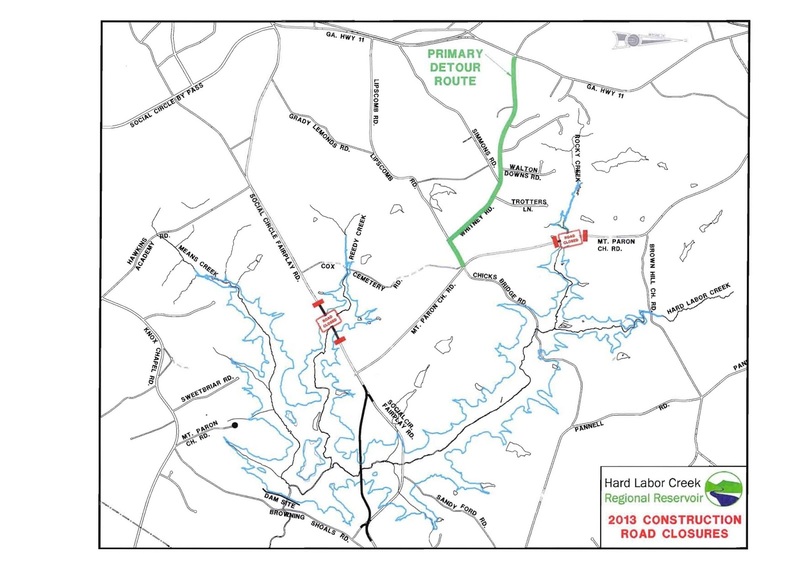 By the end of the fiscal year on June 30, 2014, Walton and Oconee counties are budgeted to have spent $74.1 million of the $170.3 million estimated cost of phase one of the reservoir on Hard Labor Creek. The two counties still must raise $86.4 million to cover the remaining costs of the project’s first phase, including $34 million needed for construction of the water treatment facility and $21.3 million for the water transmission lines. The Management Board will be meeting on Tuesday with the Walton County Water and Sewerage Authority, which has ultimate budget authority for the project. The proposed budget was distributed to the Management Board at its meeting on April 16. 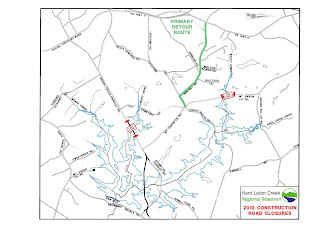 Parker said that the intergovernmental agreement between Walton and Oconee counties required passage of a project construction budget each year. That 2007 document specifies that Oconee County pays 28.8 percent of the costs of the project and will receive that same percentage of water. The Management Board did not gather in May, so the meeting next week will be the first time the Board will have the chance to publicly discuss the budget Parker presented to it. That meeting is to start at 1 p.m. at the Walton County Government Building in Monroe. The 2014 budget contains $1.8 million for continued land acquisition for the reservoir. Parker reported at the April meeting that the Board had been able to close on 90 percent of the 2,468 acres needed for the project. The budget includes a little more than $1 million for reconstruction of Mt. Paron Church Road, the second road affected significantly by the project. It also includes $650,753 for relocation of a power line and $920,971 for stream buffer preservation. The budget also includes $70,000 in administrative costs, largely for Parker and others at Precision Planning Inc., where Parker is an engineer. Funding for the 2014 budget comes from three sources. The two counties have sold bonds for the project, and $5.6 million left over from those bond sales will be used in 2014. Oconee County sold $19.5 million in bonds in 2008 as its part of the project. The budget calls for spending $19.1 million of the first of two loans the two counties have received from the Georgia Environmental Finance Authority (GEFA) through the Governor's Water Supply Program. The full amount of that loan is $20 million. Another $3.4 million in GEFA funds–from a second loan of $10.4 million–also will be spent in 2014, according to the budget. At the end of the 2014 fiscal year, the Board will have $9.8 million in unspent funds from the bonds and the two loans. Parker also provided the Board with an update on the 2013 budget of $34.8 million. That budget included $12.9 million in dam and spillway construction, but, as of March 31, almost none of that money had been spent. The next biggest item in the budget–$7.2 million--was for land acquisition, and three-quarters of that amount had been spent by the March 31 date. The budget included $4.8 million for constructioin of the relocated Social Circle Fairplay Road, and little of that had been spent, and $2.9 million for construction of the reservoir intake and pump. None of the latter had been spent by March 31. The 2013 fiscal year budget included $70,000 in administrative costs. Normally there are no journalists at Hard Labor Creek Management Board meetings, and there were none at the April 16 meeting, when Parker released the budgets. Usually there are only a few citizens present, and I was the only one at the April 16 meeting. Following the session, Parker provided me, at my request, the same budget information he had given to the Board members. His colleague at PPI, William Crowder, answered questions I posed to him on May 10 about the budgets. Though the Management Board is chaired by Oconee County Commissioner Jim Luke, Parker generally handles most of the agenda items at Board meetings. Oconee County Commissioner Mark Saxon attended his first Management Board meeting on April 16, where he was seated as an alternate. Saxon will be a voting member at the meeting on Tuesday. That meeting will be the first that Chuck Horton and John Caudill can attend as newly selected, non-voting citizen alternate members to the Board. Parker told the Board at the April meeting that he expects land acquisition to be completed this summer, and that work on the dam will begin as soon as possible after that. Work on the intake facility is underway and is to be completed in a little more than a year. The reservoir is projected to be filled by 2018. No plans have yet been put forward for construction of the water treatment plant or the transmission lines. The project has been delayed because of slow population growth in the two counties. The Board already has let bids for the Social Circle Fairplay Road and Mount Paron Church Road relocations. The second phase of the project, which would double the cost, involves diverting water from the Apalachee River to the reservoir to increase the amount of water available for treatment. No timetable has been set for that phase of the project.